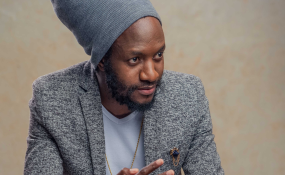 Multi-award winning dancehall musician Winky D is said gone into hiding after a suspected group of Zanu PF activists visited his home, possibly to harass him, during last week's stayaway which left a trail of brutality on suspected protesters, opposition political players and government critics. While reports remained unconfirmed, the musician's safety has been a topical issue following the subtle threats he has received even before the recent shutdown because of his hard-hitting lyrics. In a telephone interview yesterday, the musician's manager Jonathan Banda would neither confirm nor deny when questioned whether the artiste was safe or not. "It is a very sensitive matter for me to comment on right now. I do not think it is a good thing for me to talk about that issue currently," he said in a hushed tone. "I do not know how safe it is for me to comment on his safety, but maybe we can talk about it in the coming days." The musician, who of late appears to have taken a firm socio-political stance questioning the iniquities of the incumbent government, stirred a hornet's nest through his lyrics and has been branded a regime change agent by Zanu PF apologists. Late last year he released the feisty Kasong Kejecha single, which did not go down well with Zanu PF activists who besieged his Kwekwe show in an attempt to harass him. Zimbabwe Musicians' Union chairperson Edith Weutonga yesterday bemoaned the apparent fear of harassment by artistes who sing on socio-political issues. "Artistes are the mirror of a society and they are compelled to sing about what is happening in the communities because if we keep quiet, then we are not doing our job because when someone says let's pour sand on corruption, how can that be wrong?" said Weutonga. "The abuse of artistes is something we do not condone as an association and it is an attack on arts which we are seriously against." She also added that if the crackdown persists, it could have a negative effect on the artistes' freedom of expression. "It has an effect on others because now in groups you hear some saying stop singing what provokes the authorities, so musicians end up self-censoring and that kills creativity as well as the voice of reason in our society," she added. Meanwhile, in a shock outburst, revered gospel singer Togarepi Chivaviro of Ebenezer fame posted a cheeky message on his Twitter account denouncing government's heavy-handedness during the protests. "You can silence the internet; you can beat up, kill and silence people... but you can't silence God! Mwari Havapererwi," reads the tweet. Artistes across the Limpopo also registered their dismay on social media where they sent prayers during the country's dark week. "Prayers and love out to Zimbabwe and Kenya," posted South African rapper Cassper Nyovest on his handle @CassperNyovest while compatriot Nasty C @Nasty_CSA echoed the same sentiments. "God Help Zimbabwe," he tweeted. Poet Nomonde Sky recorded a video of a thought-provoking poem titled She's on Fire detailing the how the government had used brute force to quell the citizenry's genuine frustrations.